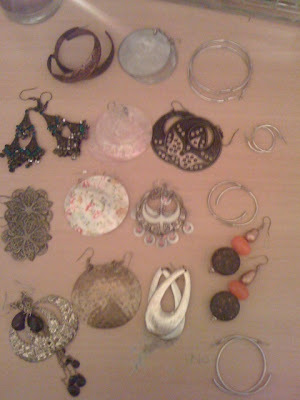 The "large" earrings (ie: the ones that don't fit in my container) are just stored in a little cloth bag. 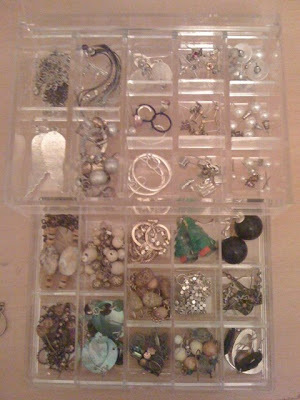 I love my earrings. But then, what girl doesn't?! Hope you enjoyed this post - click the photos to enlarge them, if you want.